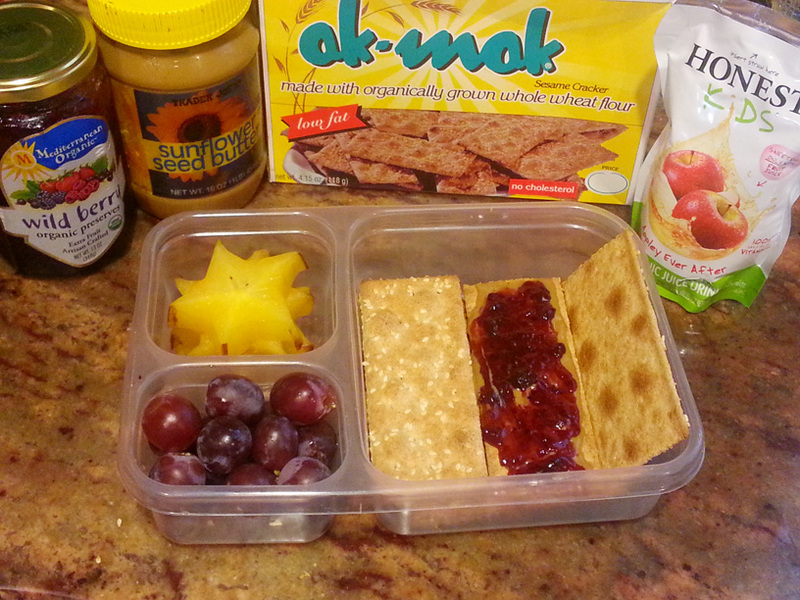 Myself and the kids love these ak-mak crackers. They are great with just about anything, go great with with hummus or in lieu of croutons in a ceasar’s salad. Kids get 4 of these cracker seed butter and jam sandwiches + fruit.